Discussion: Mag Malate Renew is fully reacted magnesium malate. 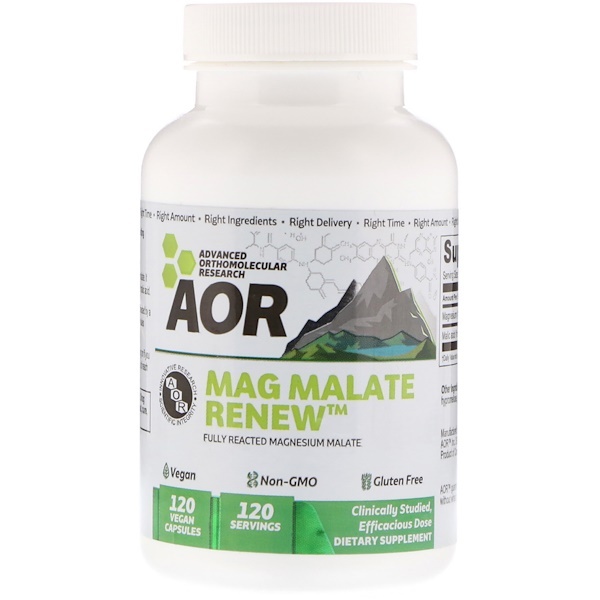 It provides the essential mineral magnesium along with 545 mg of malic acid. Take 1 capsule 1-3 times daily with food, or as directed by a qualified health care practitioner. 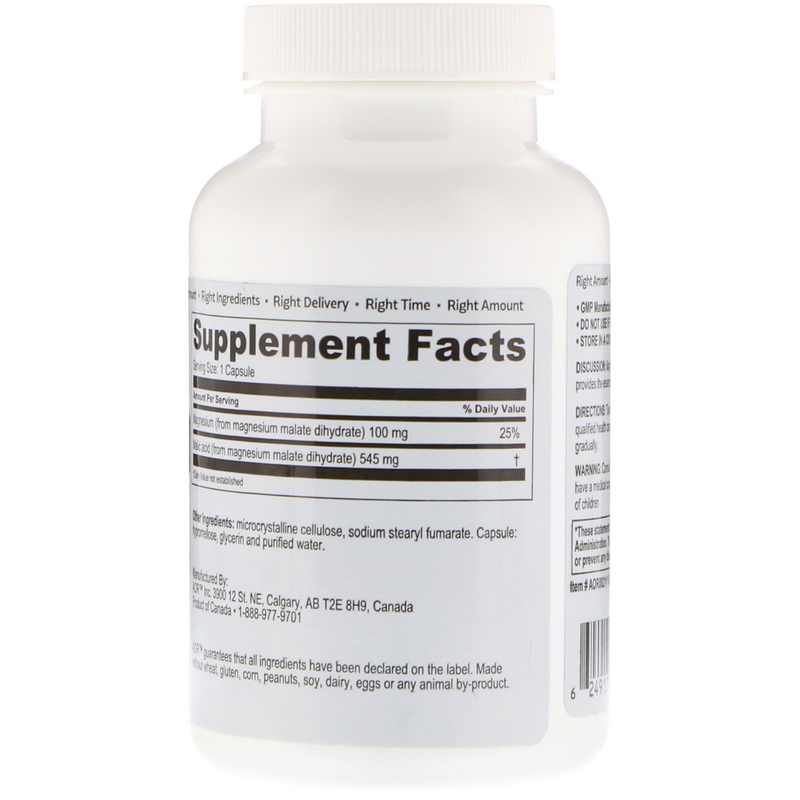 Increase servings from 1-3 capsules gradually. Microcrystalline cellulose, sodium stearyl fumarate. Capsule: hypromellose, glycerin and purified water. AOR guarantees that all ingredients have been declared on the label. Made without wheat, gluten, corn, peanuts, soy, dairy, eggs or any animal-by-product. Consult your physician if you are pregnant or lactating or if you have a medical condition, or are taking any medication. Keep out of reach of children.